OMBRE masterclass is a shading technique done in a manual way (no machine neccessary). 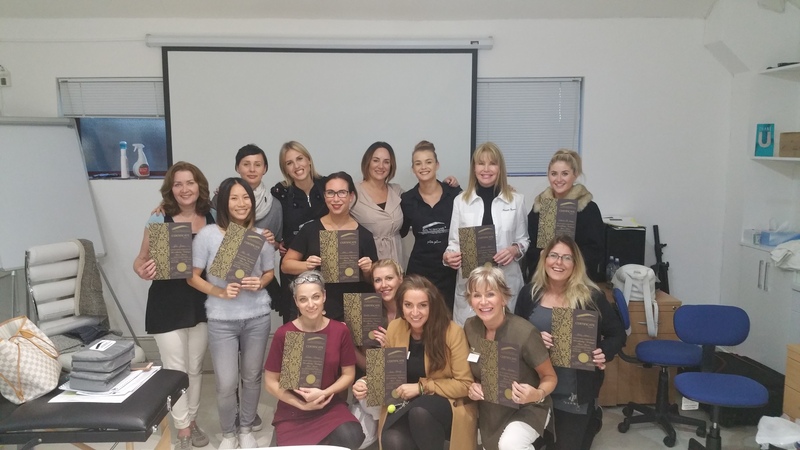 This class is for people who already finished microblading or machine techniques. This is masterclass. No matter how much time is after your basic trainings – if you want to learn Ombre manual technique, then you should join our masterclass. 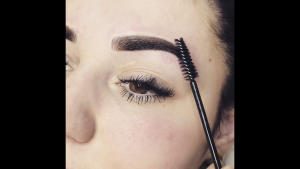 This is permanent powdered brows technique for clients who prefer fuller result than hairstrokes but still very soft. 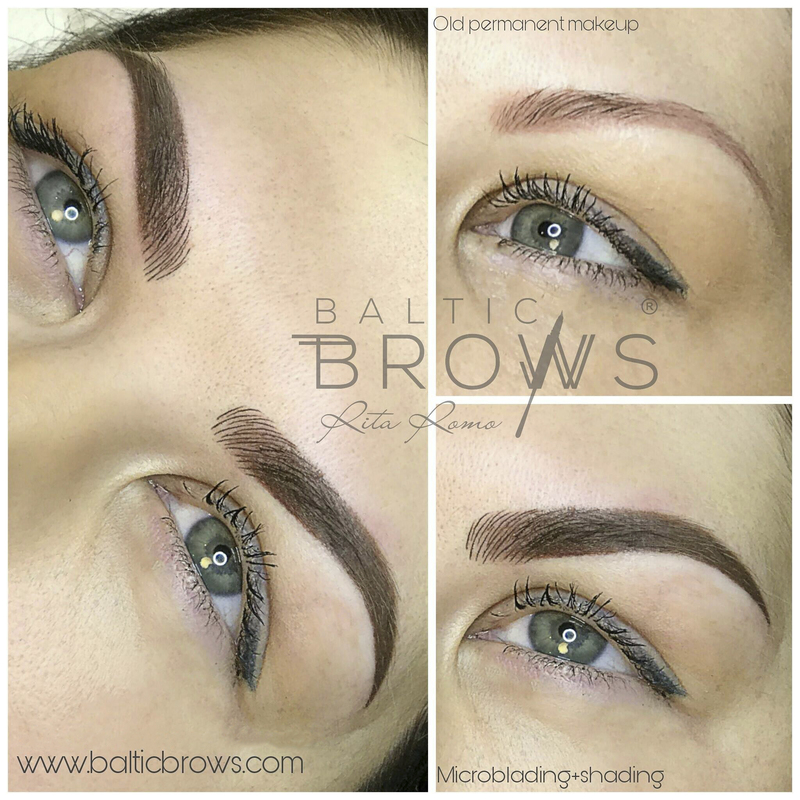 It’s a technique which looks like daily makeup done with eyebrow pencil or eyebrow shadow. 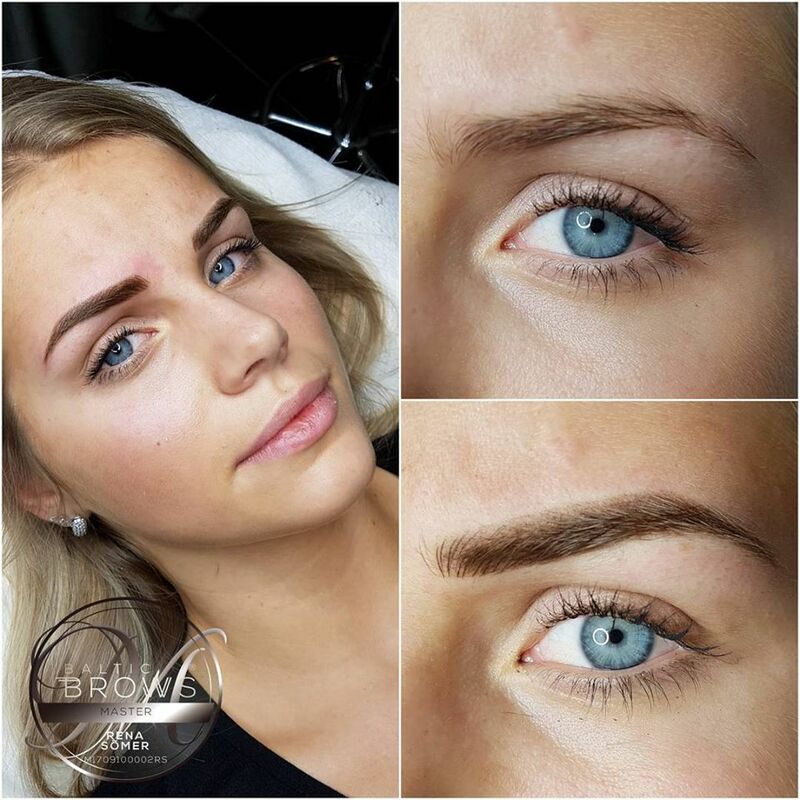 The tails of the brow are darker and fade into a light beginning to the brow, giving a perfect Ombre makeup affect. The effects will be waterproof, smudge-proof and completely natural. 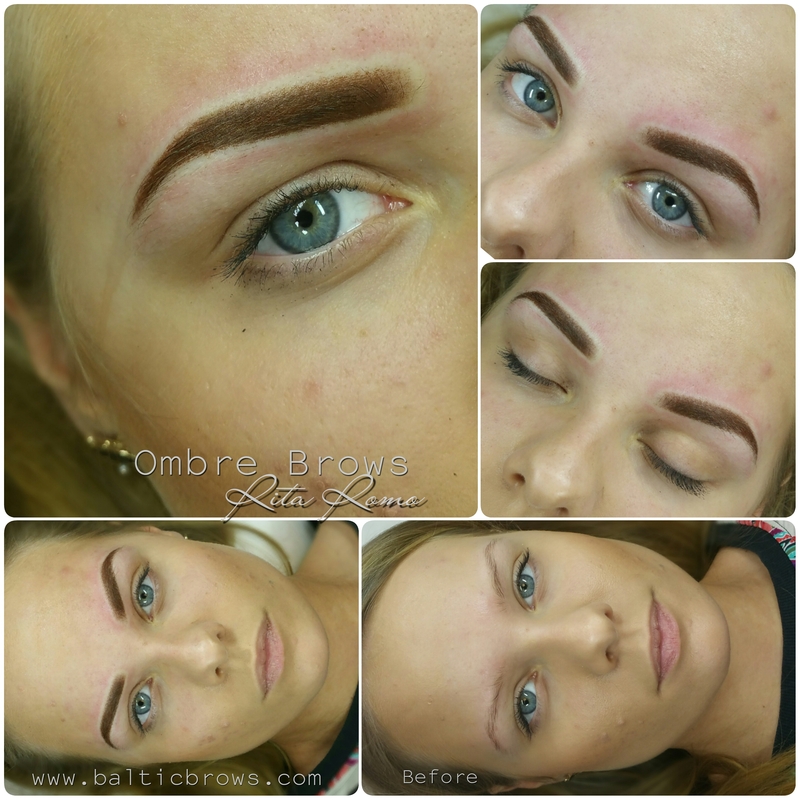 During this course you will learn Ombre powdered brows manual technique. 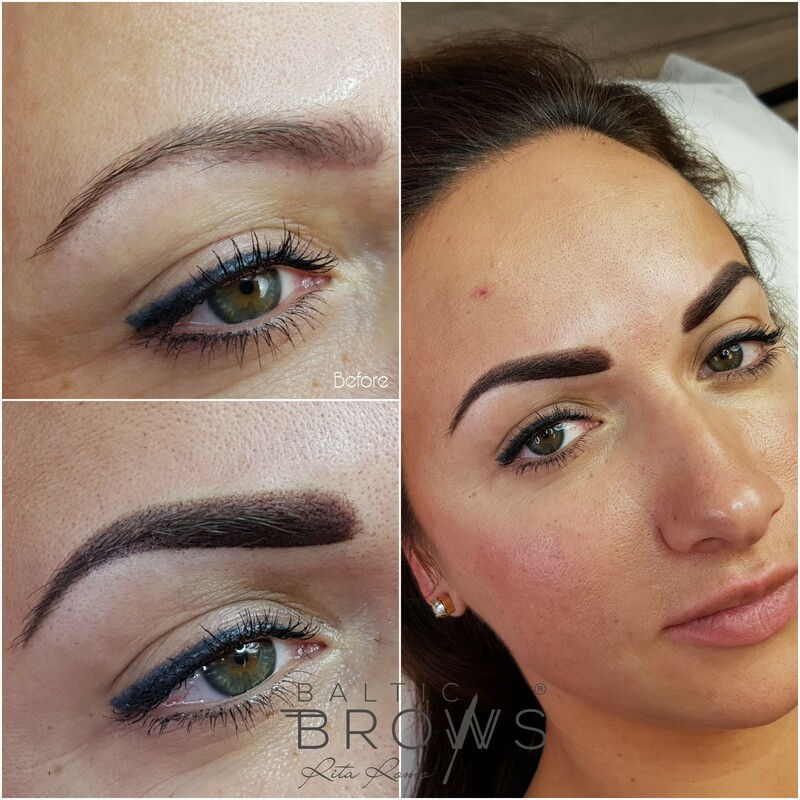 what are the types of microblading and shading various blades? 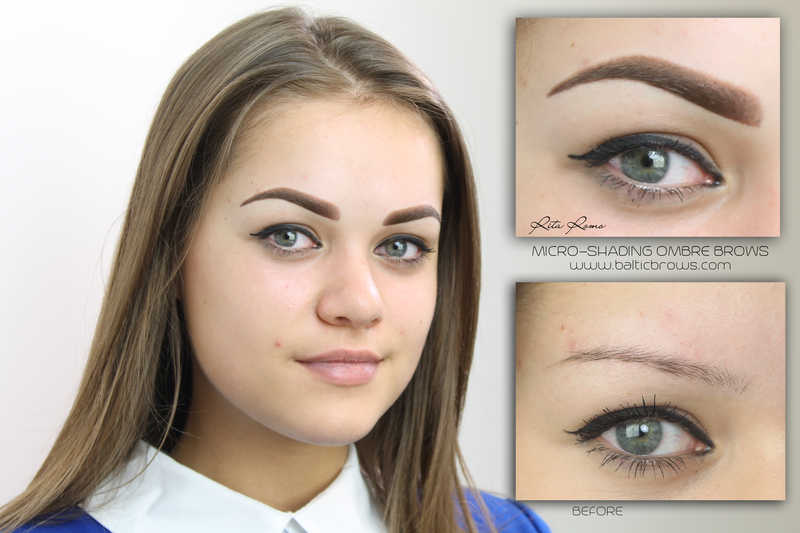 what are the types of microblading and shading various disposable tools? how to combine strokes beginning + Ombre? 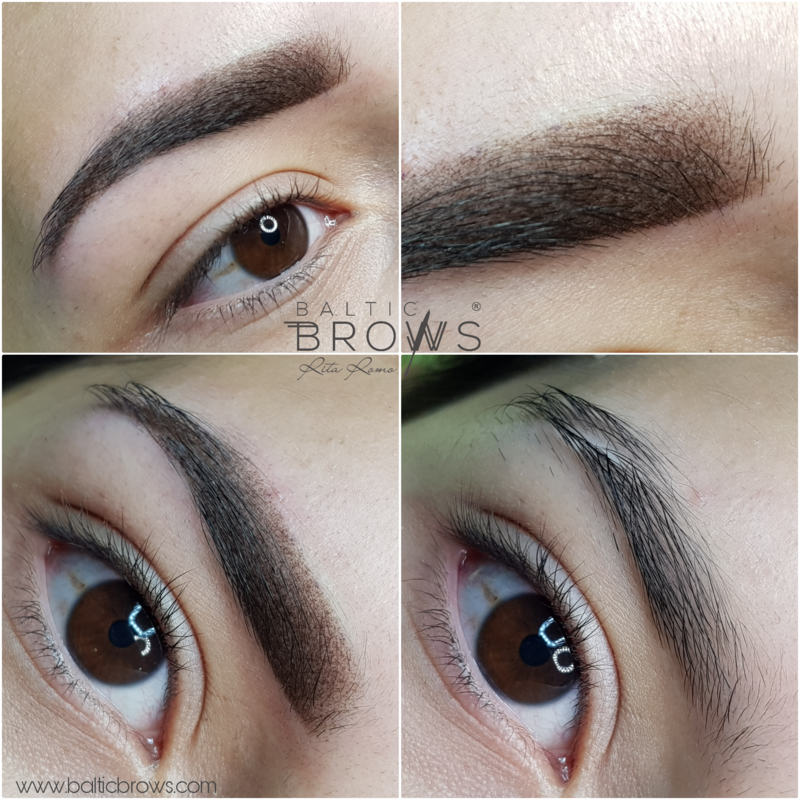 what are different techniques of eyebrows (2017/2018)? 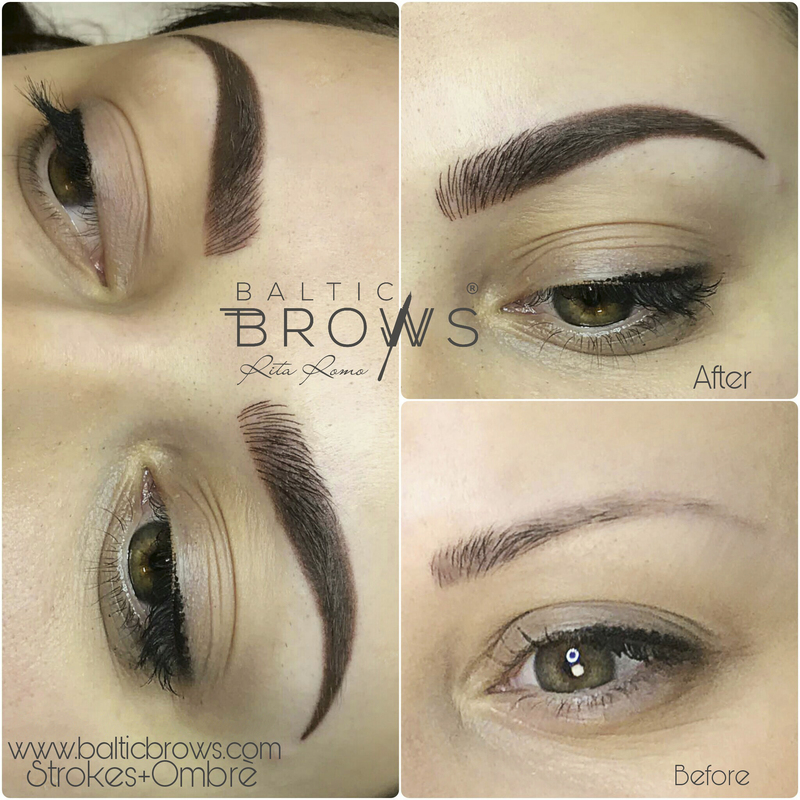 - Everything you use for the treatment (rulers, pigments, numbing, tools). 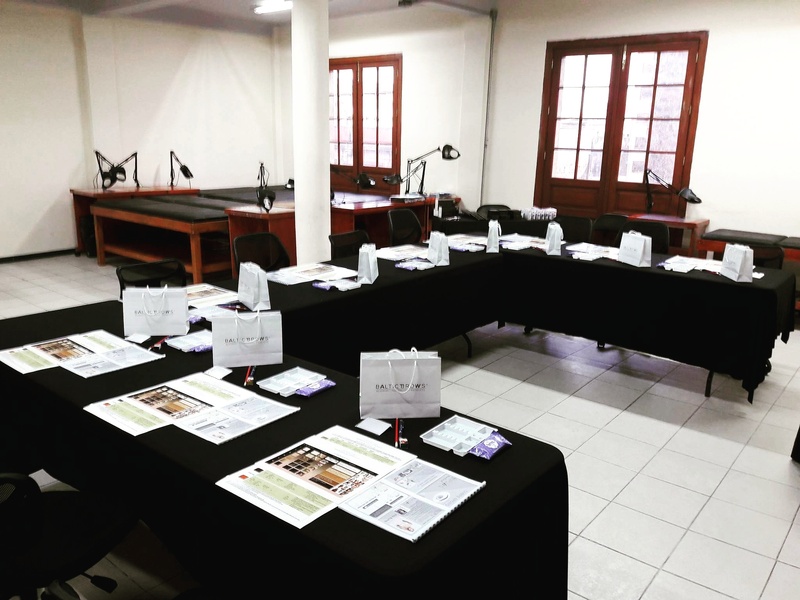 During the course you will get blading and shading needles, your workplace will be prepared also (all disposable things will be given). - It depends on course and city. Check on exact city in REGISTER. Usually we prepare goodie bags for masterclasses. - If it is 1 day masterclass, then you don’t need a model. If it is two days masterclass, then you will need a model. For information check on exact course in REGISTER. Masterclass is a perfect way to improve your results. So we invite everyone to our masterclasses no matter how much time is after your basic course. 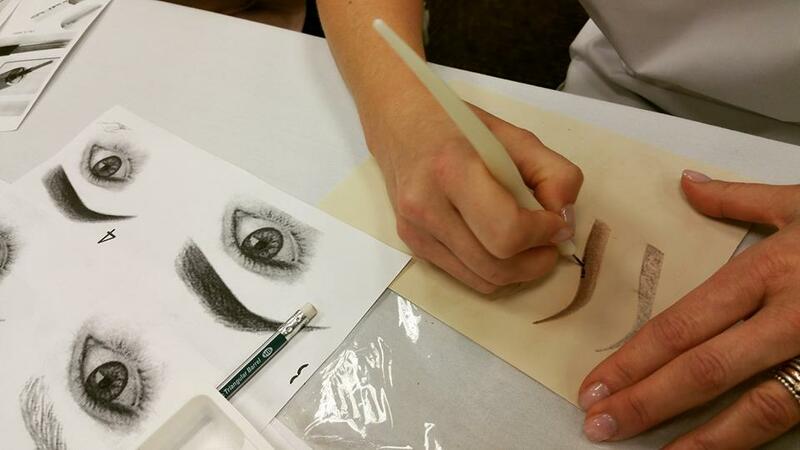 This course is perfect for both – beginners and experienced artists. 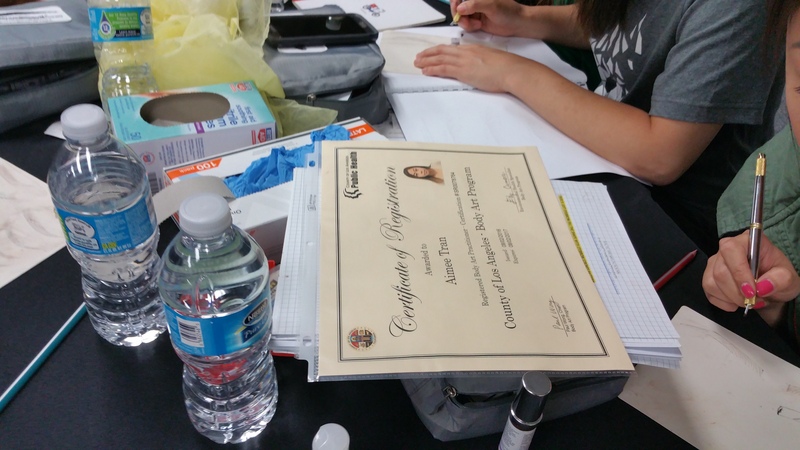 If your course program includes hands-on then finish Blood Borne Pathogen test and register in Health department if you haven’t done this before. Bring both licenses to hands-on course. This will let you to practice on live model (for USA artists). Bring everything you use for the treatment (rulers, pigments, numbing, tools). 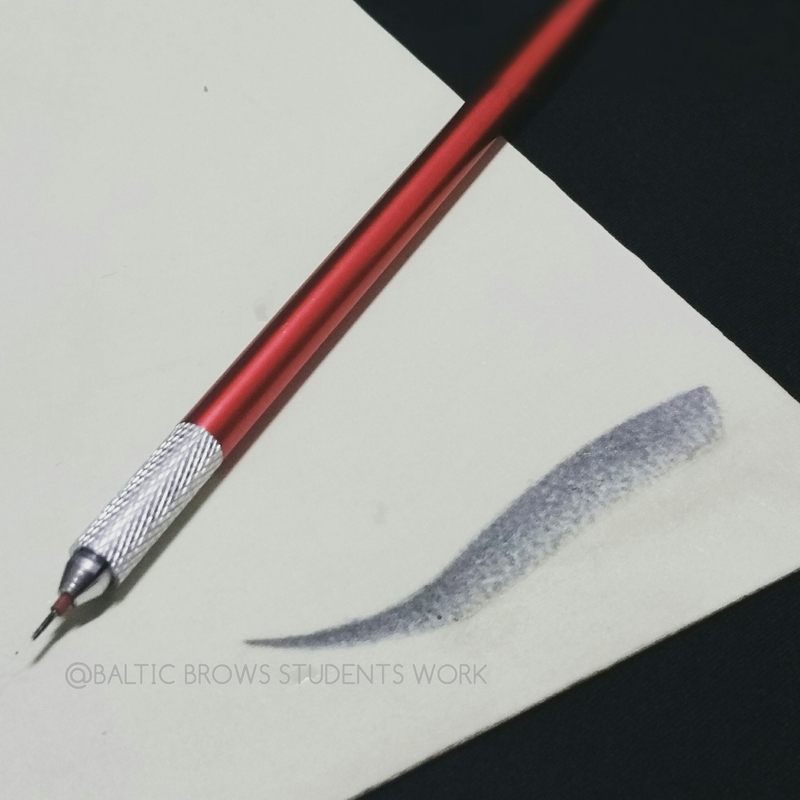 During the course you will get blades and shading needles, your workplace will be prepared also (all disposable things will be given). If the training is only one day with no hands on models. If the training has hands on models. Goodie bag or KIT. For certain information, check on exact course as it can differ. Prices of trainings can differ in each city. Please choose the exact location in REGISTER in order to see prices. Sign agreements for further steps. Bring everything you use for the treatment (rulers, pigments, numbing, tools). During the course you will get blading and shading needles, your workplace will be prepared also (all disposable things will be given). 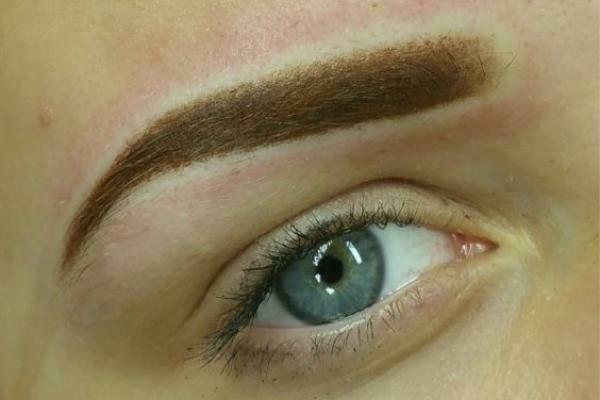 Sensitive skin (contains blemishes, big open pores, couperosis, redness on cheeks); Very dark old permanent makeup; Pregnancy; Nursing; Drugs/ Alcohol; Allergies (nickel, anesthetics, latex, iron oxide); Retain A within last 2 weeks; Anaemia; Heart / blood problems; Prolonged bleeding; Low/ high blood pressure; Diabetes; Haemophilia; Liver disease; Epilepsy; HIV; Hepatitis; Cancer in the past 6 months; Pacemaker – we can perform only manual techniques (no device used); Chemical or laser peel within 6 weeks - AHA preparations in the past 2 weeks; All types injections (1 month before and after treatment); Hypertrophic scars; Keloid scars; moles; birthmarks; Healing problems; Eczema, Psoriasis, severe acne, minor skin conditions in brow area; Serious heart disorders, blood infections; Straight after waxing in that are you plan to practice; Autoimmune disease; Hyper-pigmentation; Using Accutane or other retinoids past 6 months; Sunburn; The area is already damaged or the irritations are visible.